It all started with the launch of the handcrafted Ultrasone Edition 9 high-end headphones. New exclusive, durable coatings were applied for the Edition 9 series to complement the supremely precise and subtle sound reproduction provided by S-Logic. Furthermore, the finest leather was used for ear and head pads. The S-Logic technology was developed further ensuring professional, sharp and clear audio. As experts in headphone sound, the best sound quality is a matter of course for Ultrasone. But let’s not forget the innovative and patented ULE technology. This technology protects against electromagnetic radiation using MU metal. This reduction in radiation is something anyone who wears headphones for several hours on a daily basis will not want to do without. 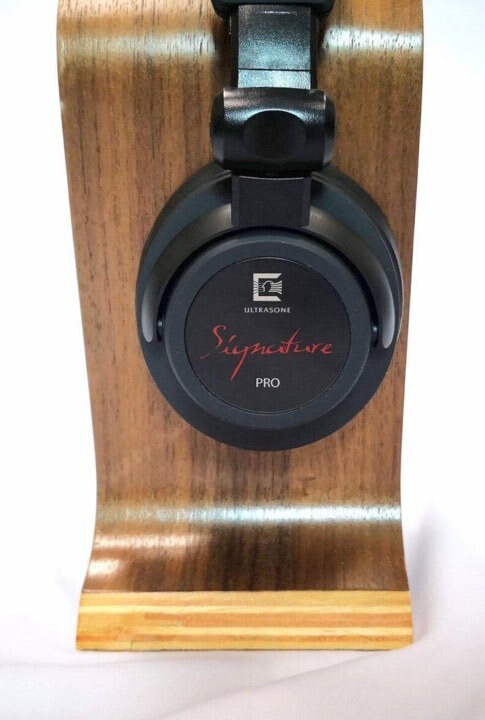 Ultrasone’s claim to leadership in the field of research and development, a result of its specialization in the headphone market, is born out in the Signature PRO − a product which systematically realizes the desires of Ultrasone users and fans across the globe. Professional users have long-since been won over by the quality of headphones in the Edition range. 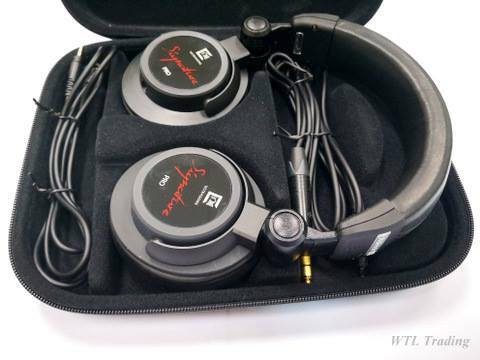 To PRO, the somewhat extravagant-looking Edition headphones appeared too delicate for tough everyday wear in the studio. So here’s what they came up with… These black, newly-developed Signature PRO headphones will revolutionise the world of the professional user – their design combines the first-class sound properties and high-quality material of the Edition series, with the requirements for use on the move, on set, in the studio, anywhere and everywhere. Hand-crafted in Germany. Equipped with comprehensive Ultrasone technology. The comfortable ear pads and the new headband make it possible to work and listen stress-free for long periods of time. It get’s better... these new Signature PRO headphones may have a minimalist design, but can handle hard work and are a sheer pleasure to wear! The name plates made of finely polished toughened safety glass emphasise its professional focus. The dark-grey ear and headband pads are made from the tried-and-tested leather of the Ethiopian long-haired sheep, and sewn by hand. This exclusive leather provides long-lasting quality for the wearer, an incredibly snug fit and outstanding insulation. As a special feature, the Signature PRO meets the requests of many end users with its removable cables and B-Lock connection. These cables can be exchanged at any time, as required. A long and short cable, of 3m and 1.5m respectively, are included as standard. And to crown it all – the Signature PRO comes in a custom-made transport-friendly case. Please contact or whatsapps us at 016-725 5372 ( Wendy ) or 012-614 3049 ( Ms.Wee ) for further detail or to arrange for a demo in our showroom situated at Taman Melaka Raya , Melaka .